I'm happy to announce that the third book in the Poppy Peters Mystery Series is now available. Be sure to participate in the Poppy Peters Book Blast that I've included below for a chance to win a $50 Amazon Gift Card or Paypal cash. 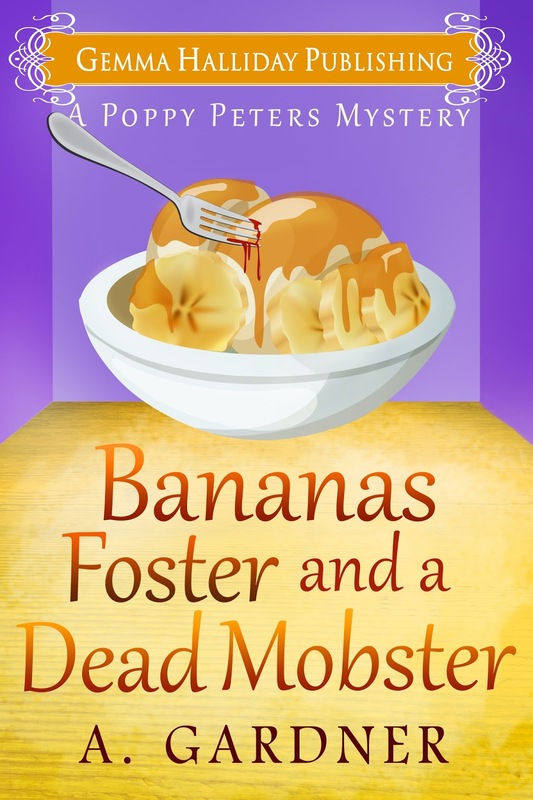 Reluctant sleuth Poppy Peters is back in Georgia, and her last semester of pastry school is no icing on the cake when a body is discovered at the local farmer's market, and the murder weapon has Poppy's name on it. Not to mention, the victim belonged to a deadly southern crime family. Now, Poppy is being tailed by the mafia, and it doesn't help that the school's new pastry instructor has her working with her worst rival. But after a heart-stopping car chase, a frightening discovery at an old jam factory, and a spontaneous trip to New Orleans, Poppy discovers a secret that makes her past feats look like a piece of peach pie. Poppy's chances of making it to graduation day are about to go up in flames just like her Bananas Foster.